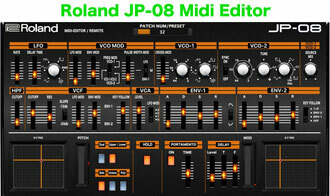 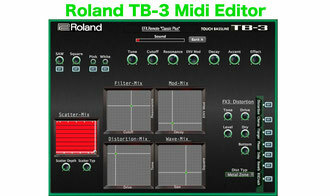 Roland TB-3 iOS Midi Editor iPad - tb3remote-ioss Webseite! Roland Aira TB-3 Editor for iPad "EFX.Remote-iOS"
samples from Cutoff, Resonance, ENV Mod and Accent settings. 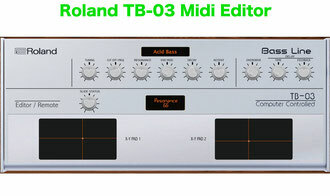 the notes can "glide" as it is typical for the TB-303 sequences. 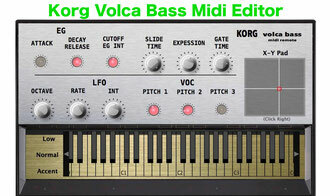 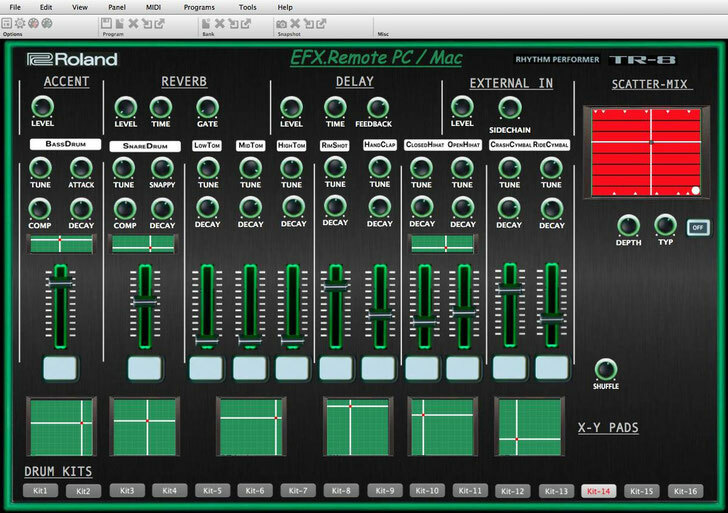 on PC and Mac as VST, AU and Standalone. 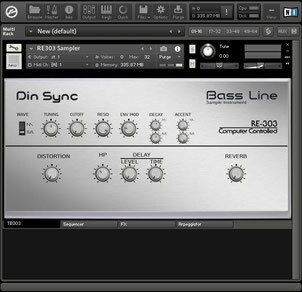 The "DinSync RE-303" is a replica of the "Roland TB-303 Bassline". 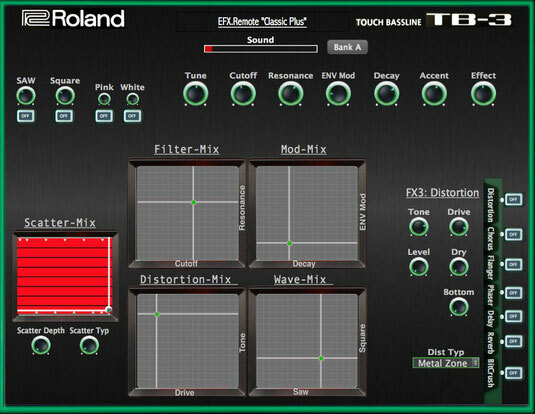 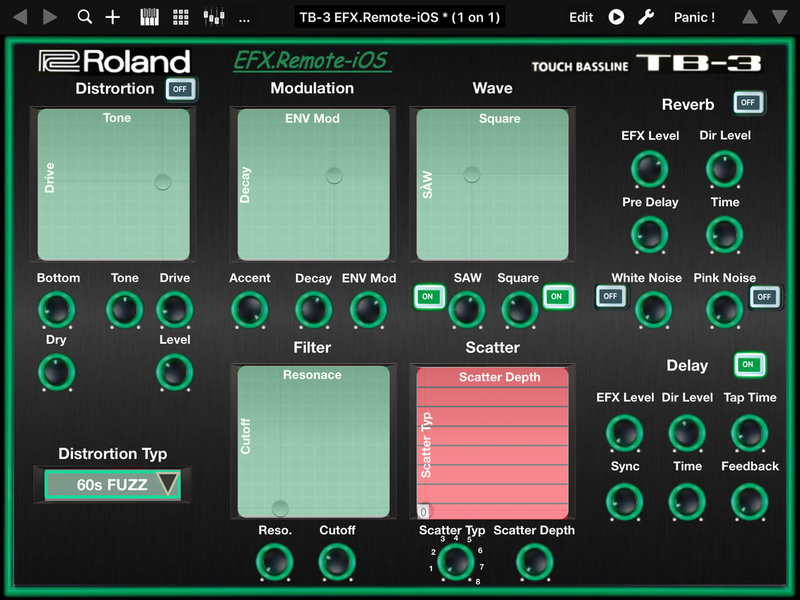 The "EFX.Remote-iOS" editor for "Roland TB-3 Touch Bassline" in iPad. 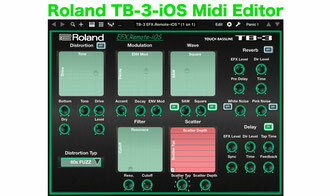 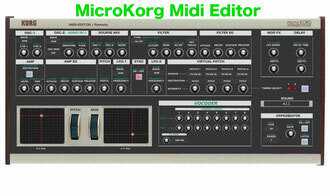 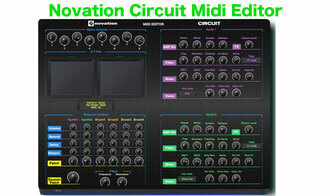 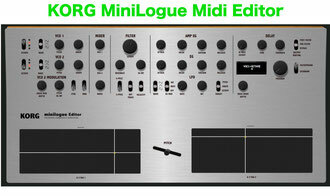 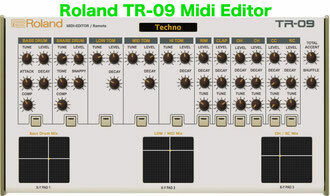 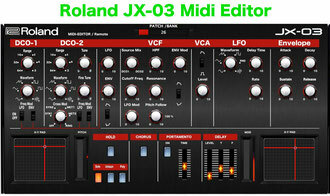 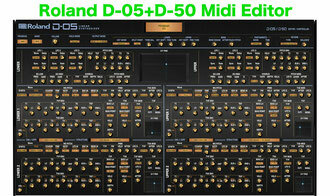 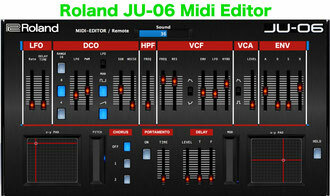 It is based on the iPad - App "TB Midi Stuff" (4.99 €). 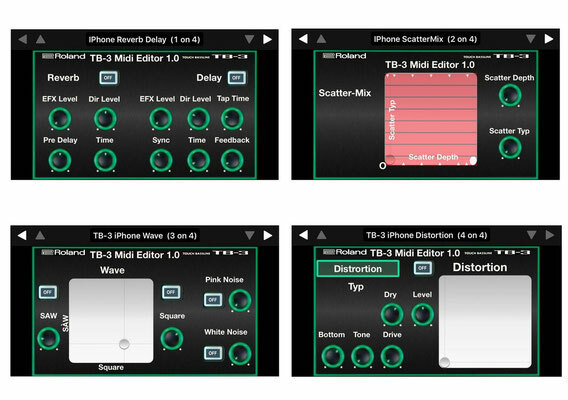 You can the "EFX.Remote-iOS"editor in "TB Midi Stuff" load. 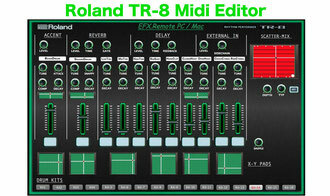 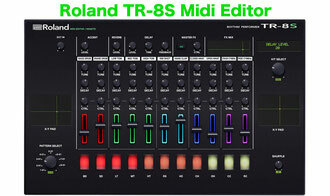 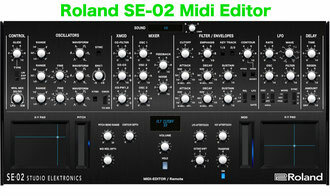 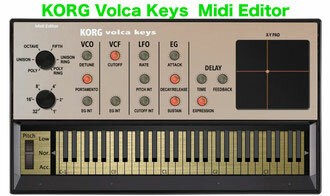 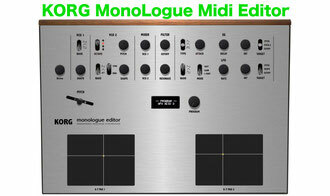 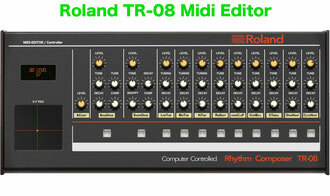 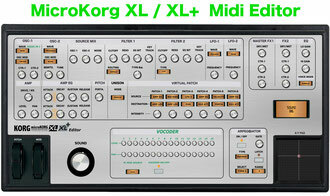 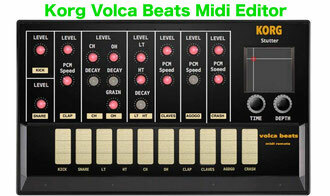 1) Remote and edit the effectsection off Roland TB-3. 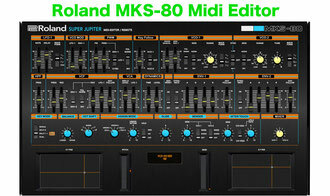 In the E-Mail after Payment. 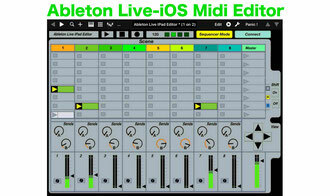 Go to my PC+Mac Version! 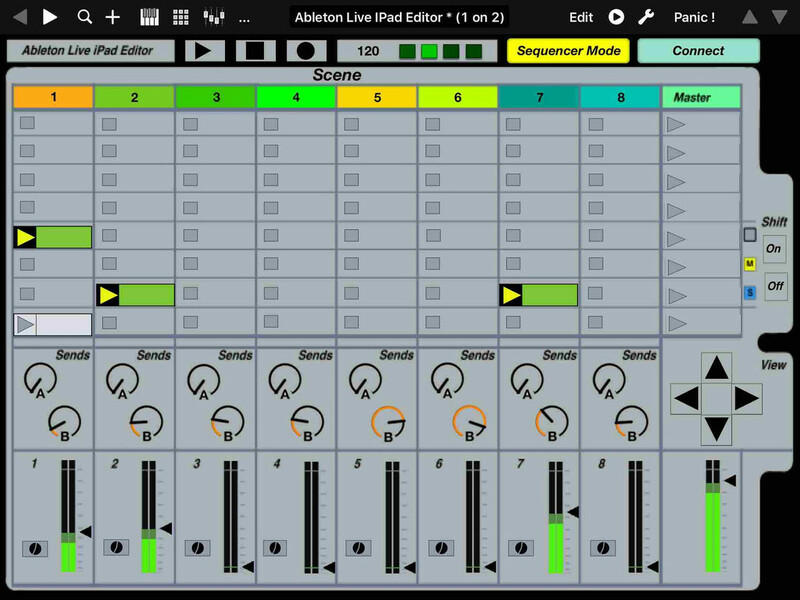 With the "Ableton Live iPad Editor" you can control "Ableton Live", on PC or Mac. 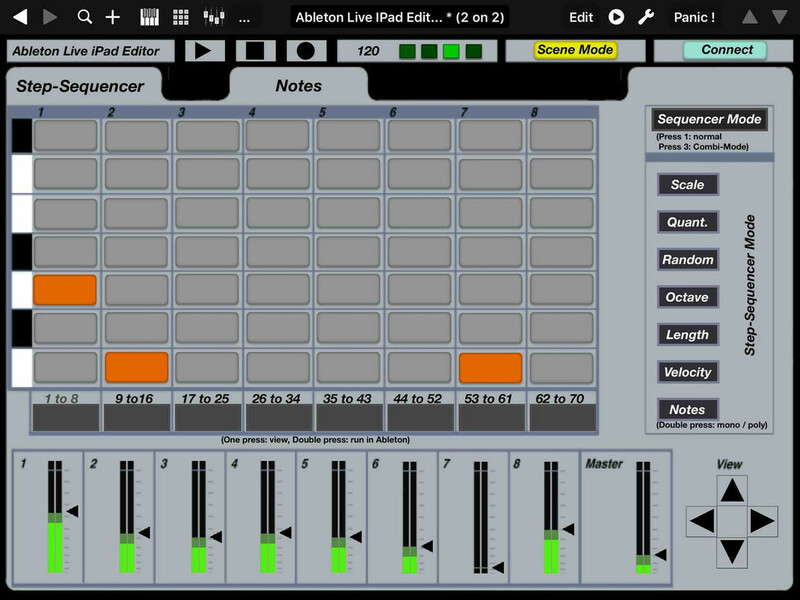 The user interface is like Ableton Live. 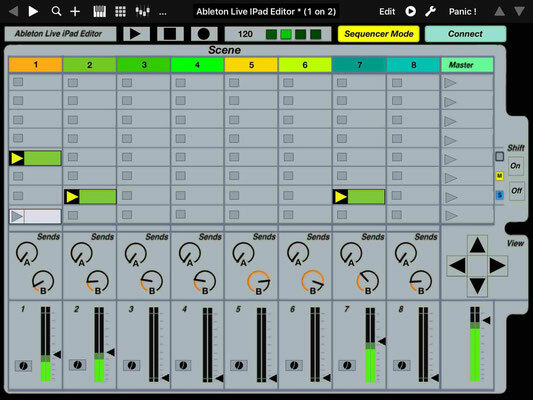 With the "Ableton Live iPad Editor" you can control the scenes, volume, sends, recording etc. 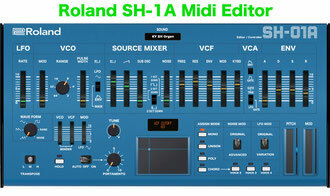 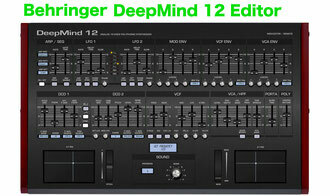 Or you switch to the step sequencer where you can edit tracks or make new tracks.